Now that the US and Japan have signed an Open Skies treaty, is it good for bad for US airlines? Well, there is some good and some bad depending upon the airline here. First there was Mr X, and now we have the OJ incident. American once again is missing an opportunity. 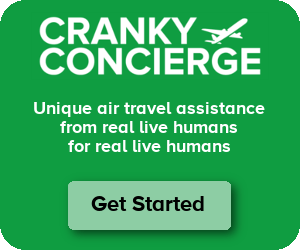 Antibride liked my Cranky Concierge story, so I repurposed it for them this week. Looks like all the canceled European flying is opening up new opportunities here. US Airways will start Philly to Anchorage next summer. Will profit sharing get airlines to add more flights? We’re about to find out. Paula Berg has left Southwest, and now the airline faces a social media transition. This is something that many companies will be watching closely.